What Careers Are Available at Madison Square Garden? If you like the idea of working at Madison Sqare Garden, you'll be excited to learn there are many types of career opportunities available at (and in support of) the storied venue. Whether you're looking for part-time event work in the arena or a full-time career opportunity, there are plenty of options at "The Gardens." One (or more!) just may be right for you. Production - Positions related to putting on events like sound, set-up, etc. Public Relations - Roles related to communication strategy, publicity, etc. Sales - opportunities to sell tickets, group packages, subscriptions, premium packages, etc. Venue Management - Operations management roles related to venues, such as food and beverages, security, merchandise, etc. The Madison Square Garden Company lists all open positions on the careers section of their website. You can also specify what location(s) (in addition to New York, they have opportunities in various parts of California and Chicago) and if you're looking for full-time or part-time. Next, click Search to see exactly which positions they are currently recruiting for. From there, you can apply for a job with Madison Square Garden. The Madison Square Garden Company also has a formal program designed to expose students to get hands-on experience working with the company. Referred to as The Madison Square Garden Company Student Associate Program, this program brings in undergraduate and graduate-level college students to gain firsthand experience in specific aspects of company operations. There are opportunities across all areas of operations. Opportunities for this program are also included on the career opportunities page and have their own category within the "functional area" dropdown menu. 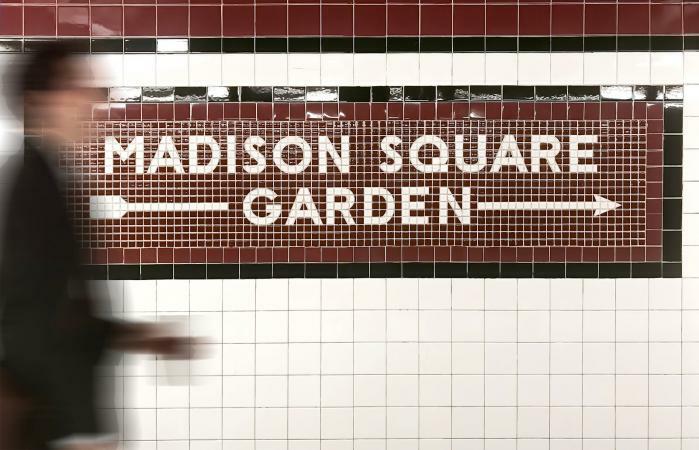 It takes a lot of people and a wide variety of skills to run an operation like Madison Square Garden and the other enterprises that make up The Madison Square Garden Company. Whether your expertise lies in events management, sports marketing, food and beverage services, management, sales, or any other aspect of business operations, you just may find your background and the needs of this employer are closely aligned. You won't know if you don't check out what's available and apply for positions you're qualified for and that pique your interest!